Yesterday I decided to make Slow Cooker Reuben Sandwiches, one of my husbands favorites. Men and their cured meat right? I added a smokey coriander black pepper rub, which gives the corned beef a pastrami flavor. And after some research, I found out that these sandwiches are really called “Rachel’s” because of the cole-slaw instead of the sauerkraut, and the pastrami instead of the corned beef (pastrami is usually smoked corned beef with a coriander black pepper crust). Who knew right? For these slow cooker reuben sandwiches, you can make Slow Cooker Corned Beef and Cabbage, and use the left over corned beef for the sandwiches. If you plan on making just sandwiches, my recipe for slow cooker reuben sandwich meat is below, I rubbed the corned beef with a smokey coriander black pepper rub, and wrapped in foil 4 times, and cooked on low in my slow cooker for 7 hours. I made a homemade slaw to go on the sandwiches, I used chopped cabbage, grated carrots, and grated onions. The cole-slaw dressing I made has horseradish, Dijon mustard, and poppy seeds in it. Talk about some good cole-slaw! I love how crisp and fresh homemade cole-slaw tastes! Or you can buy a cole-slaw kit at the store, to save time. If you like sauerkraut, replace the cole-slaw for sauerkraut. I also made a homemade russian dressing, I could drink that stuff, seriously. Give the homemade russian dressing a try, I put diced onion in it, that little touch puts it over the top. And don’t forget the Marble Rye! Start by mixing rub ingredients together in a small bowl. 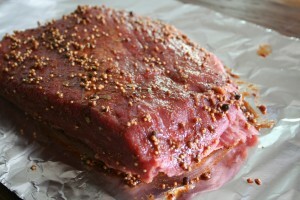 Place corned beef on a large sheet of foil, spread the rub on all sides of the corned beef. Wrap in corned beef in the foil, then wrap again three times more. Place the corned beef in the slow cooker, no water is added. 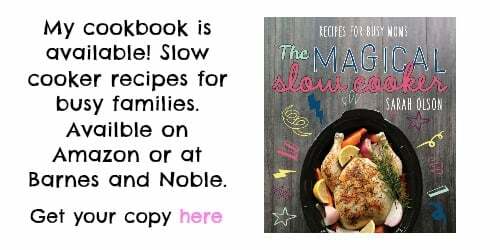 Place lid on slow cooker. Slow cook on LOW for 7- 8 hours without opening the lid. Take the corned beef out, leaving in the foil let it rest, on a cutting board, while you prepare the coleslaw, and russian dressing, about 20 minutes. 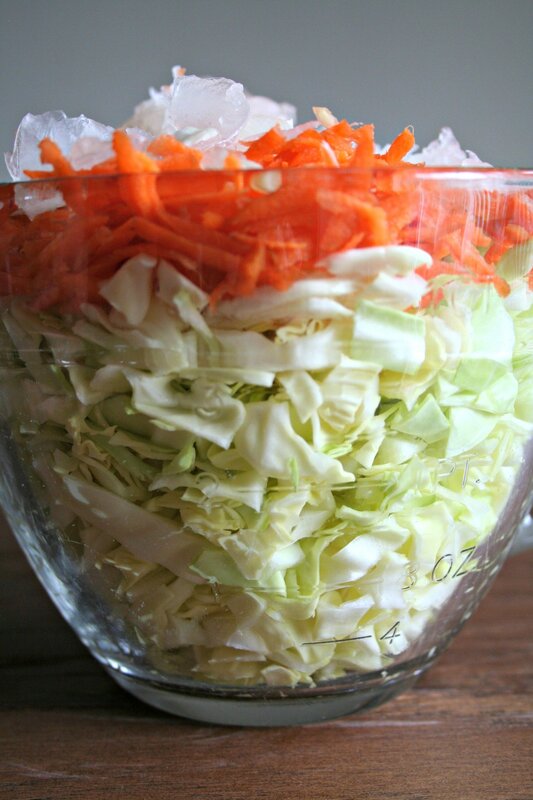 Prepare coleslaw dressing by stirring all the coleslaw dressing ingredients together in a small bowl. I only toss a little dressing with the amount I of coleslaw I need at the moment, since there is just 2 of us, I like to keep it crisp. Prepare the Russian Dressing by mixing the ingredients together is a small bowl. Open the foiled corned beef, and dump out the juices, I didn't save these juices, I found no need for them. Slice the corned beef, and prepare your sandwiches. Butter the marble rye and brown them in a skillet. Spread the russian dressing on the bottom piece. Pile up the corned beef next. Top piece of marble rye, secured with toothpicks if desired, and cut in half. What a Wonderful idea! You really made this one Magic! Great Recipe! Great Post! 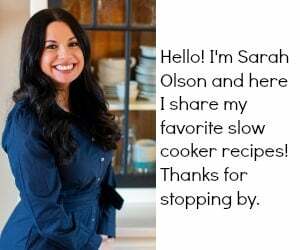 These sound amazing, Sarah! I love Reuben sandwiches. I’ve pinned this to my Favorite Recipe board to try later. I found your post at You’re Gonna Love It Tuesday’s Link Party. 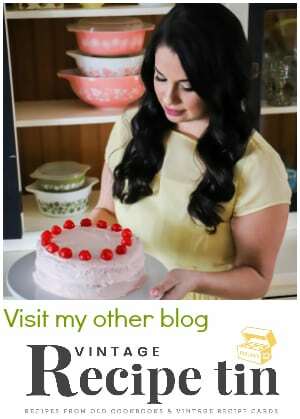 I’d love it if you’d consider sharing at my Brag About It Link Party over on VMG206. These look so delicious! My husband also loves rueben sandwiches. I have to give this recipe a try! Oh My Goodness ~ YUM!!! These look amazing! My mouth is watering!!! Thanks for sharing it! Found you on #GetHimFed!! I just love that you can prepare this awesome Reuben in the Slow Cooker, we will definitely be trying this recipe. Thank you so much for sharing with Full Plate Thursday and have a great weekend. Thanks for sharing this Crock-Pot Reuben recipe at Wonderful Wednesday blog hop. I pinned this page. I actually never had a Reuben sandwich. But I’m thinking I may need to branch out of my food comfort zone. Thanks so much for sharing at Saturday Dishes! Hope to see you again this weekend! Pinning. 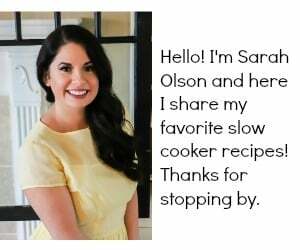 I love your site and can’t wait to try this recipe. Can you explain the reasoning for the heavily foil-wrapped corned beef? This is the first time I’ve encountered this technique. Thanks! Great question Paul! It’s to create a smaller place for the meat to steam! And to lock in the juices. Thanks for stopping by! No, you can leave it out. Have another question for you… I have a 11/2 lb corned beef brisket I want to cook to make racheal sandwiches and I was wondering if you could tell me the right amount of ingredients to use as I am no good at halfing recipes! it would be so greatly appreciated if you could! That looks absolutely delicious. Now I want me some Reuben Sandwiches. I am going to try this one my new crock pot. This is going to my first cooking in my slow cooker. Let us see how this helps. I just made this tonight. So good! And living in a dry cabin without running water, I’m super happy not to have a mess to clean up after.